Dare CASA wanted a website that they could use to help disseminate important information about substance abuse, as well as build an only community and resource for those going through or know someone going through substance abuse issues. 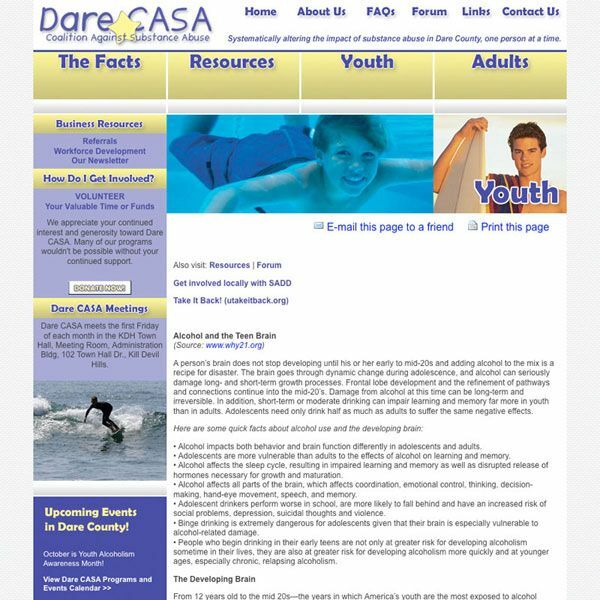 Because they are a non-profit where they have volunteers but little funds, they wanted the ability to add to their website and update content and manage the site themselves. We built the entire site in our content management system. 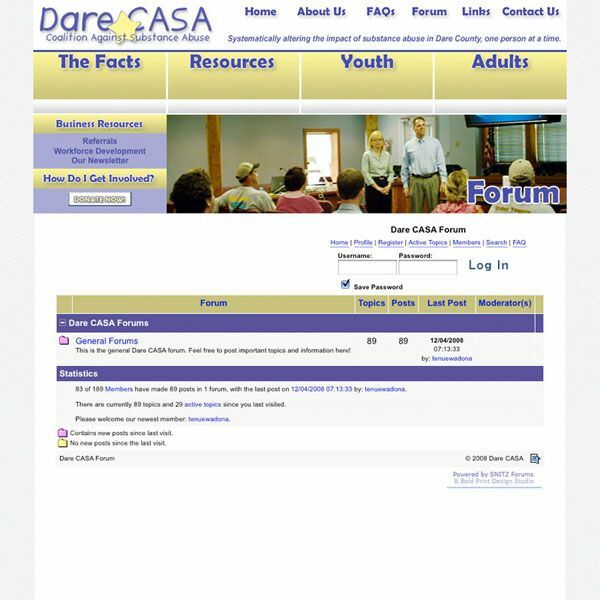 The website also features a forum which they had planned to have experts monitoring to answer questions and offer some support. 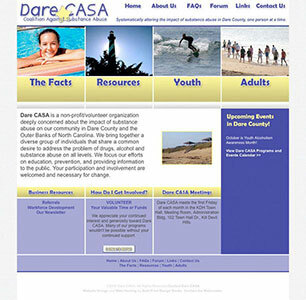 Their website has given them the ability to get their message out and grow their organization. They have grown in the community and are planning to use Bold Print to update their website with a fresh look and layout.